I was invited to join in on the World Wide Artist Blog Hop by Zelna Olivier from Zooty Owl. I am a huge fan of Zelna’s work and just adore her use of colours, and the sense of freedom she conveys when choosing her colours. Artists around the world post answers to 4 questions on their blogs and link to 3 (a minimum of 1) artists who post their answers the following Monday. Now isn’t that an awesome answer? I do not think there is anything else in my life that can energize me quite like working on a new design and fiddling around with stitches. Add to that the sense of achievement I get from helping other people to enjoy and explore crochet and you have a heady cocktail of feel-good. Crochet is so much more than a hobby to me. It is my meditation and sometimes my medication. Sometimes even just looking at pretty colours like this can lift my mood. I do not think my work necessarily differs from others in my genre. I suppose one way in which it does differ is that I am passionate about teaching crochet through my patterns. Although I do tutorials as well, my favourite method of teaching is through actual patterns. A lady commented a while ago that a designer that cannot explain themselves properly in a few words is not a real designer. I look at it in a different way. It is not that I cannot explain myself quickly and accurately. It is that I don’t want to. 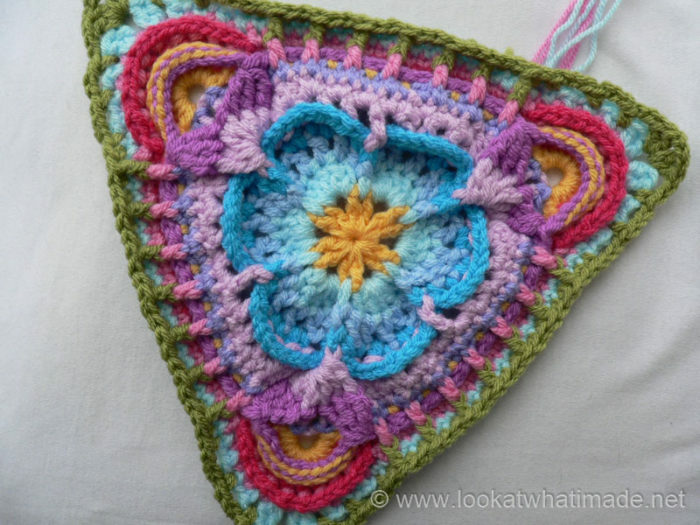 There are plenty of designers who cater for experienced crocheters. I want to cater to every level from the complete beginner to the very experienced. If that means using a lot of words and a lot of picture tutorials (and annoying some crocheters with my long-winded explanations), then that is a price I am willing to pay. I want people to walk away from one of my patterns not only having completed a project, but having learnt something and having gained confidence. It takes hours and hours to make photo tutorials, but it is worth every minute when someone contacts me to tell me that they are proud of themselves for having accomplished something they thought they wouldn’t be able to do. Sophie’s Garden is a case in point. 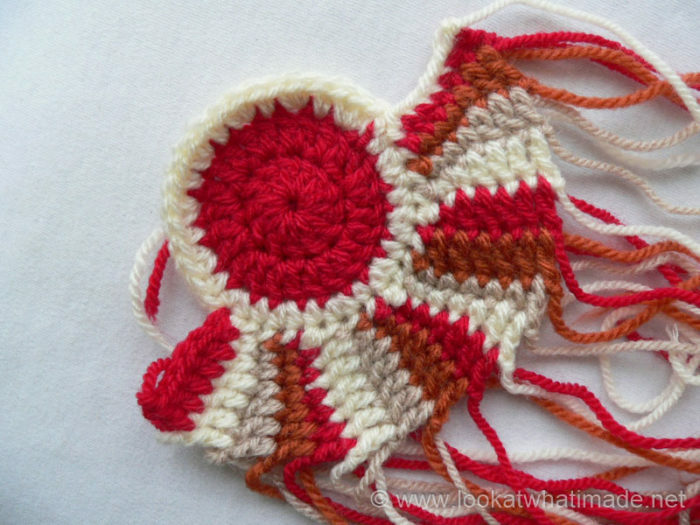 It is an Intermediate to Advanced pattern, but there have been so many beginners who have been able to make it because every step is explained and photographed. I am so proud of each and every one of them and seeing their Gardens is just the best feeling. You can see some of the SGM’s here on Facebook. For every new design I work on, I think of 5 or 6 different designs I could be doing instead. Sometimes my mind is so full of designs that I go to bed thinking of a design and wake up having worked it out in my dreams. Unfortunately I do not have nearly enough hands or hours in the day to make even a tenth of them, so they get scribbled in a little book…where they will probably stay until the boys leave home one day! 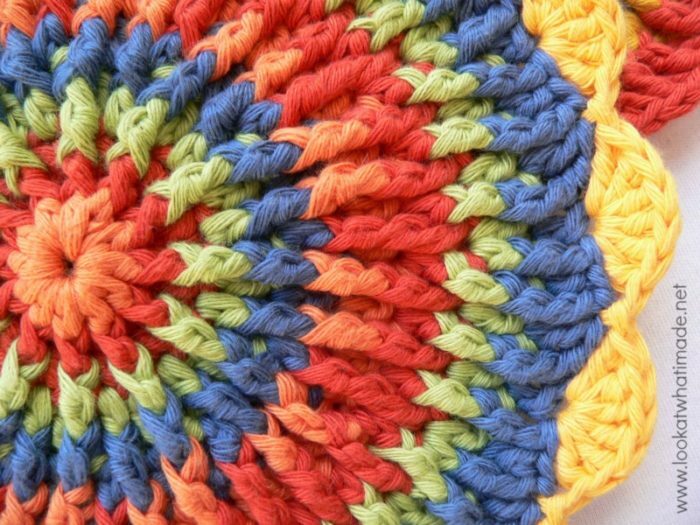 …and a spiral rug design. 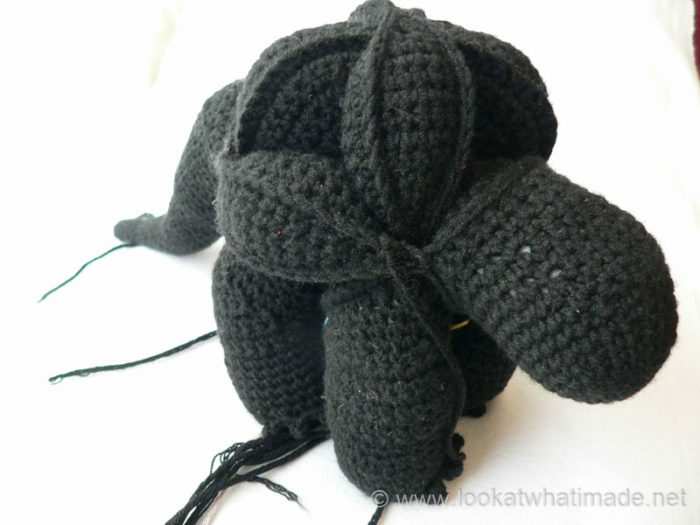 …and then there’s this dragon that has been eyeless and wingless for over 2 years! The Block a Week CAL 2014 is keeping me pretty buys this year, but I am loving every minute of it. I invited Kim Guzman to be the next featured artist. 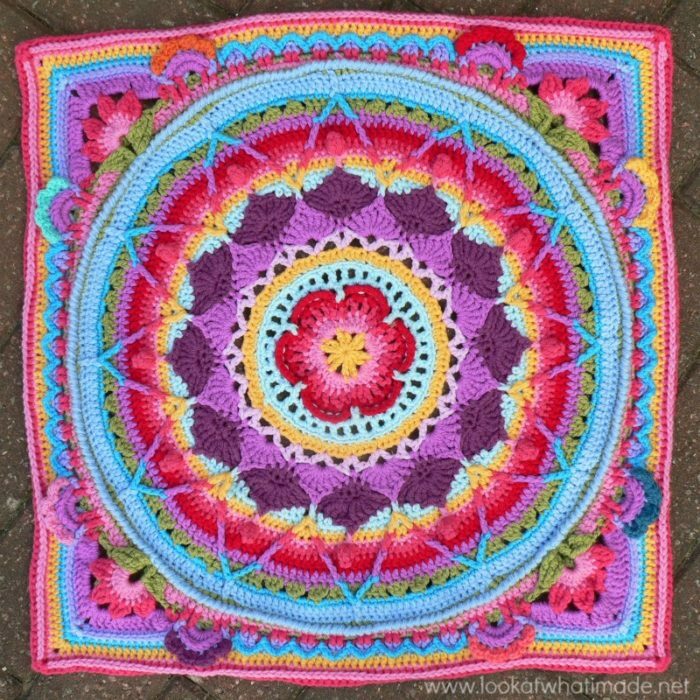 She is an amazing designer and well-known crochet author. I have also invited Jess Schleicher from Knot by Gran’ma. I love her quirky monsters. They are so unique and…well…cool! 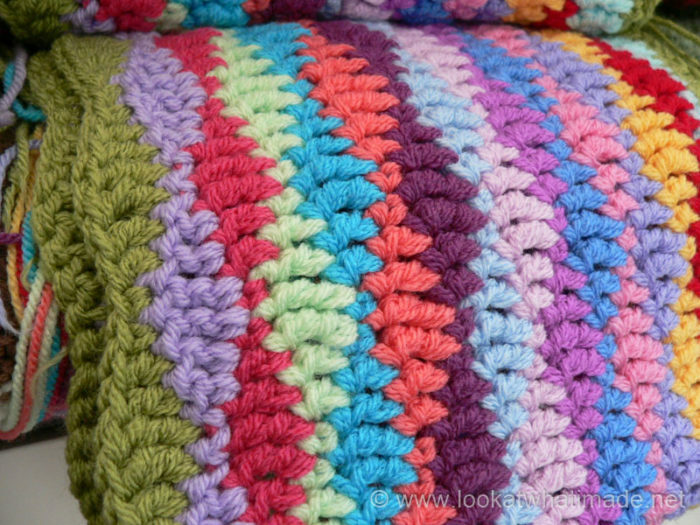 Do you have a pattern or tutorial for your lazy wave blanket? It looks gorgeous — as does everything that your create! Thanks for all your wonderful ideas, creations and postings!